Nano Dimension Ltd. (NASDAQ, TASE: NNDM), founded in 2012, is focused on the research and development of advanced 3D printed electronics, including a 3D printer for multilayer printed circuit boards, and the development of nanotechnology-based conductive and dielectric inks, which are complementary products for 3D printers.Nano Dimension’s novel and proprietary technologies enable the use of conductive and dielectric inks for ultra-rapid prototyping of complex, high-performance multilayer circuit boards. The company’s PCB 3D printer is the result of combining advanced breakthroughs in inkjet technology, 3D printing and nanotechnology. 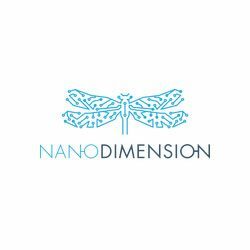 Nano Dimension stocks are traded on the NASDAQ in the U.S. (NNDM) and on the TASE in Israel (NNDM).